Viscount bells are a type of tubaphone. They are similar to glockenspiel, but instead of metal bars, they consist of small, hollow, metal tubes. However, the tube bells tend to be more sparkly, loud, and brilliant in timbre when played with hard glockenspiel mallets. Emil Richards received them in the 1980s from film composer Michael Kamen, who brought them back from a trip to England and had Emil use them in the studio. Other composers, such as Elmer Bernstein and David Raksin used the tube bells in their scores as well; the sheer brilliance of them made them a favorite substitute for glockenspiel, or combined with glockenspiel, for recording. 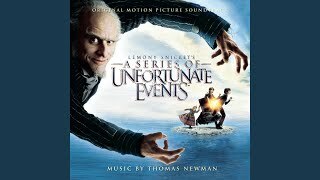 Listen for the high, metallic, hollow sound of viscount bells in this excerpt from Lemony Snicket’s A Series of Unfortunate Events (2004) by Thomas Newman.